Dan Szymborski’s ZiPS projections are a good measure of what to expect from players in the upcoming baseball season. 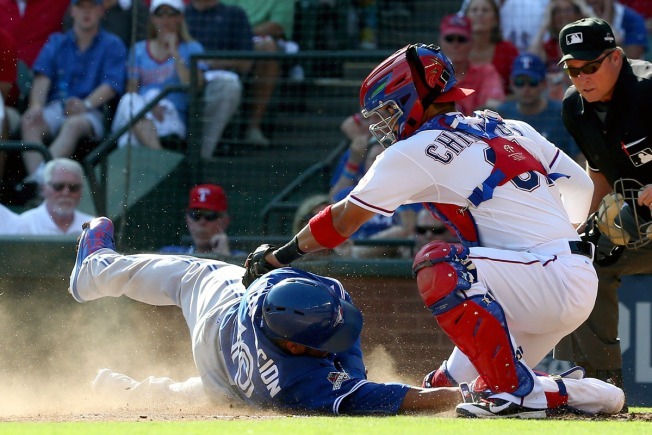 We'll take a look at the Rangers' projections on a position-by-position basis. Szymborski can be found on Twitter at @DSzymborski. Today we'll look at the projections for the Rangers catcher, which was a position of pleasant surprise in 2015 as Robinson Chirinos was good, then hurt and replaced by a platoon of Chris Gimenez and Bobby Wilson, who performed admirably in Chirinos' absence. These numbers are actually pretty much in line with what Chirinos did a year ago when he was near the team lead in homers and hit right around that .230 mark he's projected for. Gimenez will most likely be a key figure behind the plate, as well, as he's expected to be a preferred catcher for both Cole Hamels and Yu Darvish.